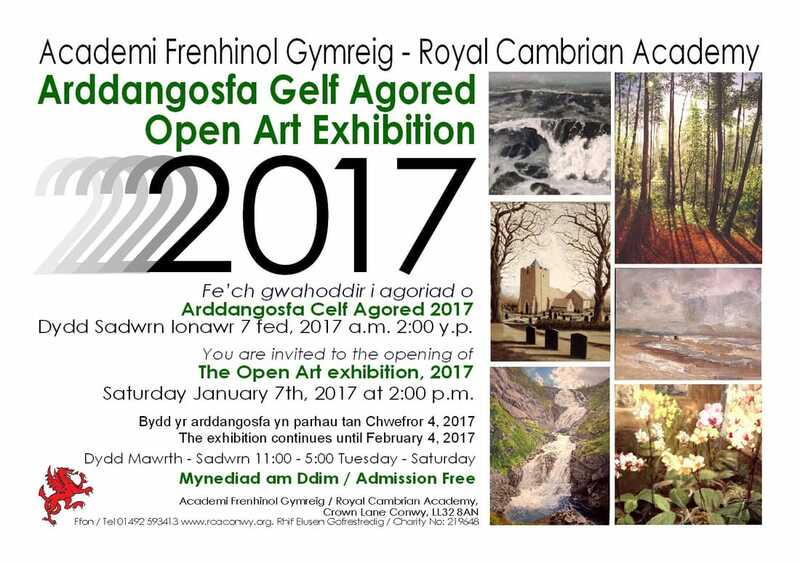 The Royal Cambrian Academy of Art is a charity whose aim is to create enjoyment of visual art through a lively exhibition and education program. 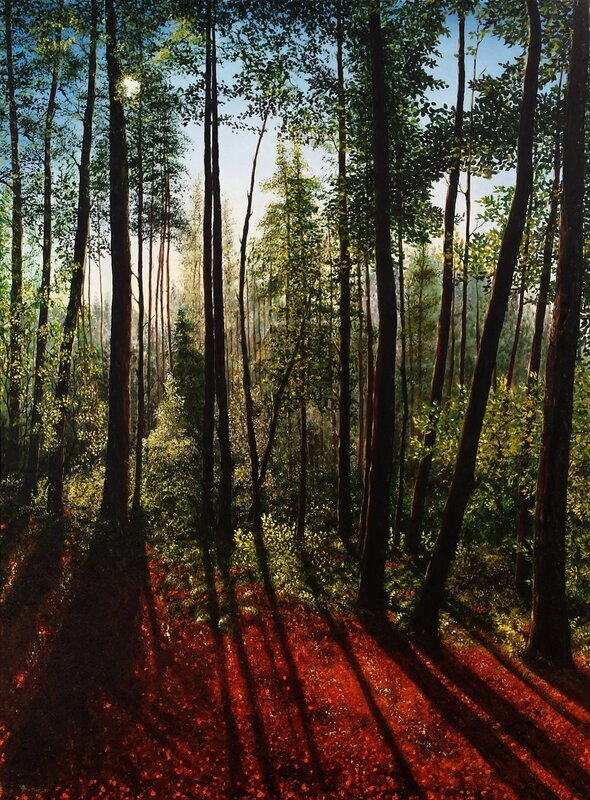 The images below are of one of my paintings (Shadows in the Forest) that was gratefully selected to be displayed at the January 2017 Exhibition. It was also selected to be included on the invitation leaflet. The images below are of one of my paintings (Illuminated walk) that was gratefully selected to be displayed at the January 2015 Exhibition. It was also selected to be included on the invitation leaflet. 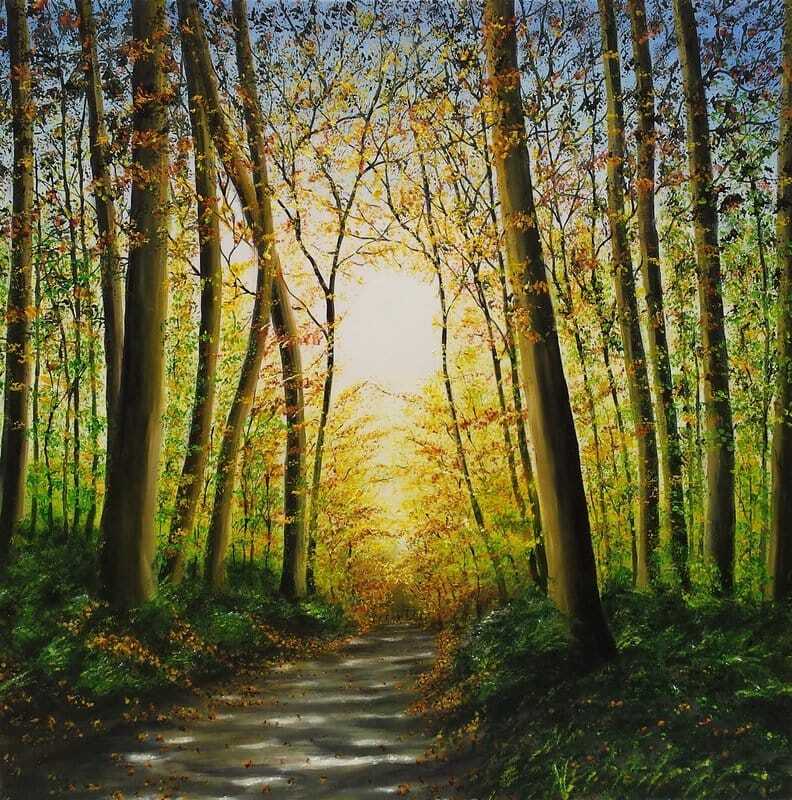 This painting has now been sold.